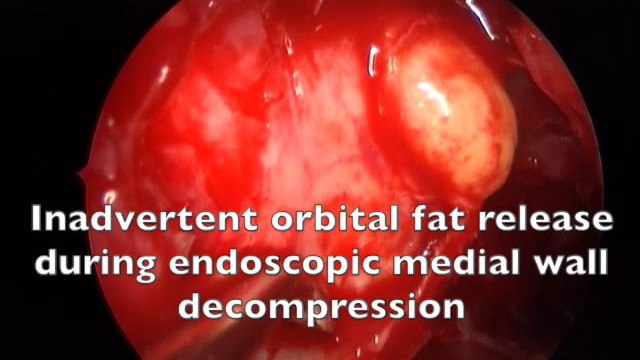 This narrated video demonstrates the inadvertent premature release of orbital fat during removal of the lamina of the medial wall and explores how to manage this situation. 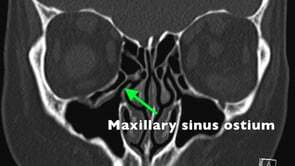 This narrated video demonstrates endoscopic medial wall decompression being undertaken for proptosis secondary to thyroid eye disease. 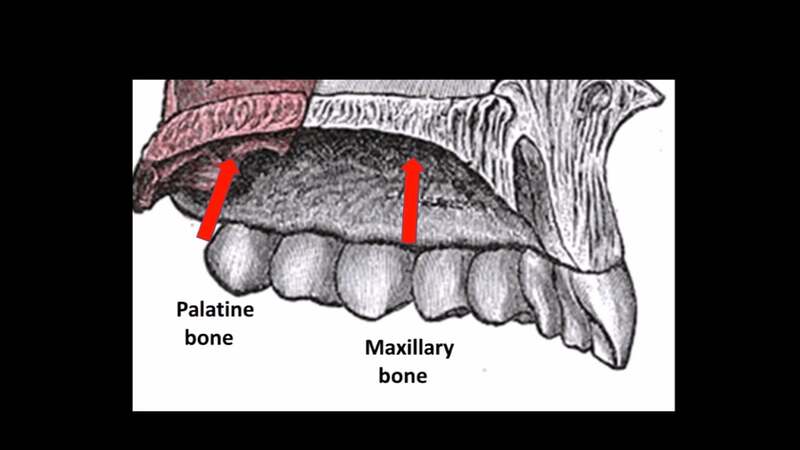 It explores the relevant anatomy and surgical technique. This narrated video demonstrates the assessment of the CT scan prior to commencing decompression surgery. 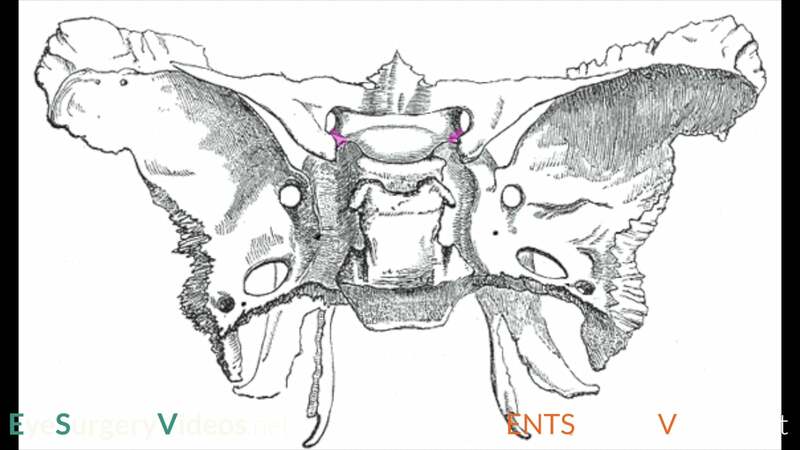 It identifies the important anatomical features to examine and common variations that may complicate decompression surgery. 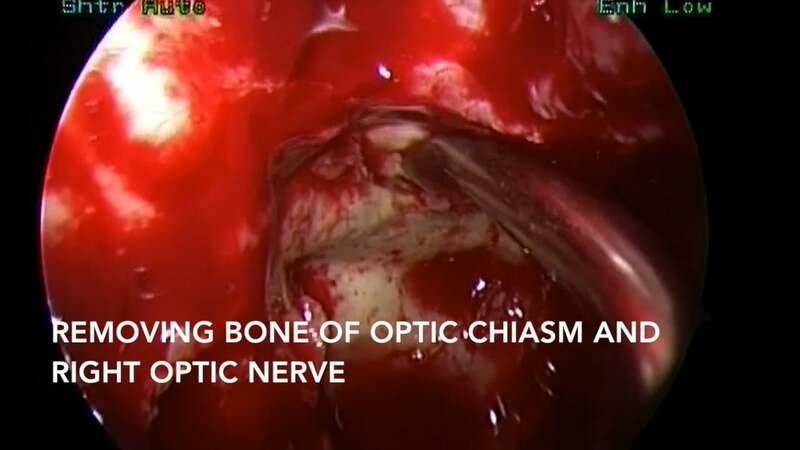 This video demonstrates functional endoscopic sinus surgery in a patient with invasive aspergillosis. 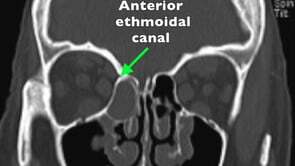 The ethmoid and sphenoid sinuses are cleared out and optic canal in the lateral wall of the sphenoid sinus is decompressed. Copyright 2015 © EyeSurgeryVideos.net All rights reserved.